Adapted from Henry Firth and Ian Theasby's new recipe book 'Bosh!' 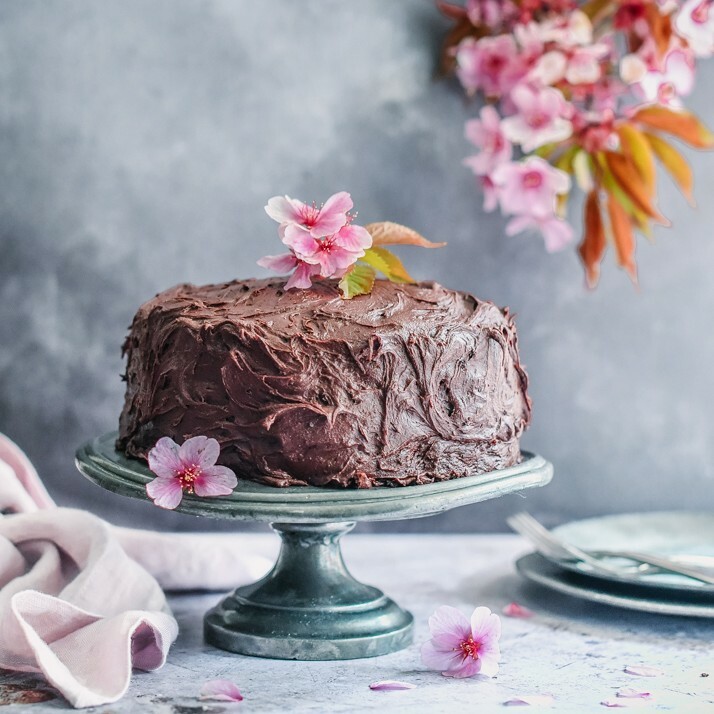 this vegan recipe for a delicious chocolate fudge cake is vegetarian and vegan friendly using plant based milk alternatives and dairy-free butter, all without comprimising on taste or consistency. By following a more plant based diet, you don't have to cut out all of your favourite sweet or savoury treats. With an inventive alternative you can make most family favourites - including vegan carbonara! - and still have a big sweet slab of chocolate fudge cake and a brew without breaking any of the dietary restrictions, who said plant-based diets were boring! We bet unless you say to your delighted taste testers that there were no eggs, milk or 'proper' butter used and that this decadent chocolate fudge, no-one will even notice! 1. Preheat the oven to 180C. Grease and line 2x20cm cake tins. extract, maple syrup and plant based milk into a bowl and whisk to a batter. 3. Pour half the cake batter into each tin, making sure it is equally divided. Put the tins in the oven on the middle shelf and bake for 25 minutes. Don't worry if the tops of the cakes crack a little while baking, this will all be covered in icing later. 4. Take the cakes out of the oven and let them cool. The sponges will be quite fragile so carefully turn them out of the tins on to the cooling rack and put the rack in the refrigerator for at least 30 minutes (this will make the icing process easier). 5. 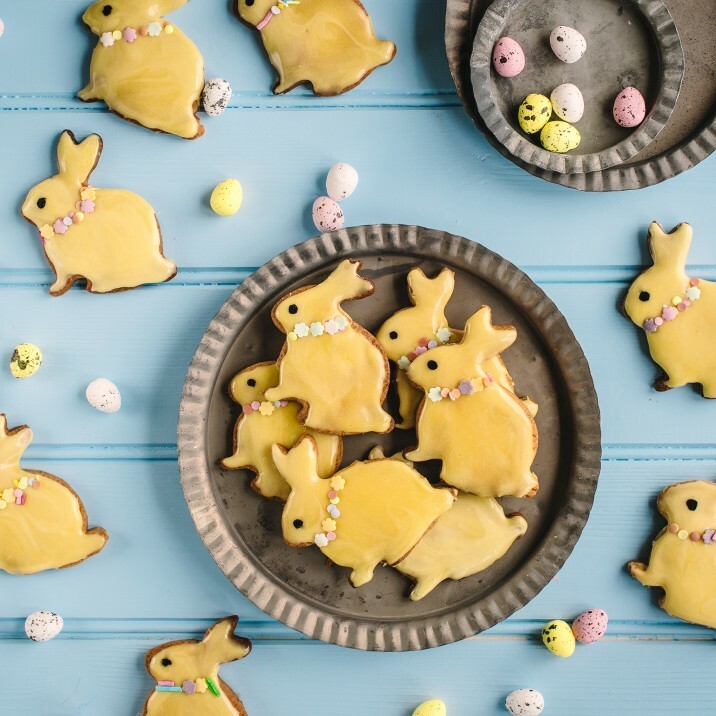 To make the icing, put the cocoa powder, icing sugar, dairy free butter, vanilla extract and plant based milk into a bowl and with your electric beater mix to a really thick, smooth icing. 6. Take one layer of the cake and put it on a plate or cake stand. Cover the top with a third of the icing. Lay the second cake on top and cover the whole cake with the rest of the icing. Put the cake in the fridge of 1 hour to firm up. Thereafter cut into slices and serve.